I’m attending the third annual Snapdragon Technology Summit this week in Maui. Over the next couple of days, much will be revealed about how Qualcomm is shaping the next generation of 5G technology. Of course, there’s more important news to share, too. Today started with us learning how Qualcomm is creating bridges between global mobile operators, infrastructure providers, and device makers as they showcase 5G networks and lead us into a new era of multi-gigabit connectivity. This connectivity will be powered by 5G, 4G LTE, and WiFi with the purpose of creating a seamless experience featuring devices, networks, and a quality experience for consumers. None of this would be possible without Qualcomm Technologies’ mobile leadership, global partners, and breakthrough inventions in recent years. 5G promises technological benefits at a pace and in a depth that we’ve never seen before, but it is needed in order to help create experiences that have never been imagined before. In other words, 5G creates a huge challenge that requires a Qualcomm-sized solution. As you know, Qualcomm has been a driving force as we’ve moved into 3G, 4G, and now 5G connectivity. Qualcomm has led in the areas of research, and they have worked hard to take this research and develop products that leverage it. Whether it is through industry-first prototypes, demos, trials, chipsets or mobile platforms, Qualcomm has impacted and helped shape the mobile communications upon which we all now rely. Qualcomm also just revealed that the next flagship mobile platform they will bring to market is the world’s first 5G mobile platform. The Snapdragon 855 Mobile Platform is the world’s first to support multi-gigabit 5G. It also brings with it industry-leading AI and immersive extended reality (XR). AI has come into its own over the last year or two, and the Snapdragon 855 is ready to move things even further. Driven by Qualcomm’s 4th-generation, multi-core AI Engine, the Snapdragon 855 delivers a highly intuitive on-device AI experience with up to 3 times the AI performance compared to the previous generation mobile platform. Snapdragon 855 also features Computer Vision (CV) ISP. This first-of-a-kind technology makes cutting-edge computational photography and video capture possible. Phone and tablet cameras have become amazingly powerful, and having the right “brain” powering them will usher in a new era of mobile photography and videography. In addition to photography and videography, consumers have also come to expect a great gaming experience on their mobile devices. 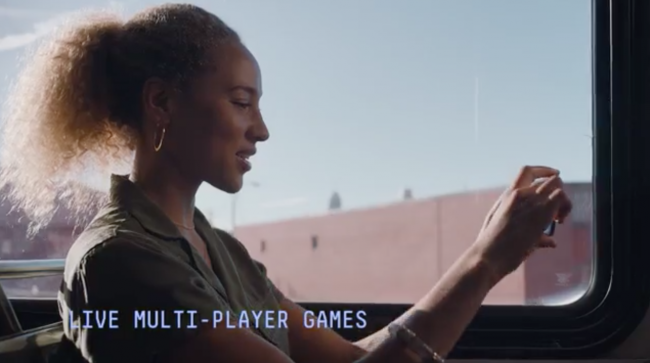 With today’s announcement of Snapdragon Elite Gaming, Qualcomm makes clear their investment in this important and growing use of mobile devices. Snapdragon Elite Gaming promises to mobile gaming on premium devices to the next level. We will have more on that in the next few days. During today’s sessions, Qualcomm also announced the Qualcomm 3D Sonic Sensor. This is the world’s first commercial ultrasonic fingerprint solution that is supported under the display. It can accurately detect fingerprints through numerous contaminants, too (have you taken a close look at your phone’s screen lately?! ), and it will make an entirely new, cutting-edge device form factors possible. More than that, however, the technology will provide a higher degree of security and accuracy than that which is currently available. 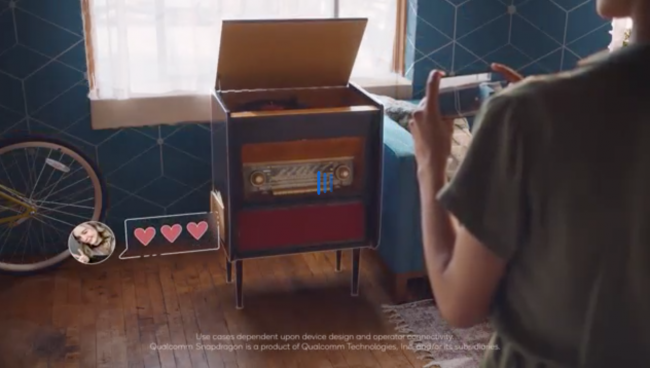 In other words, Qualcomm 3D Sonic Sensor will allow manufacturers to create devices that are not only thinner than ever but are also faster and more accurate than before. That’s a win, no matter how you look at it. I’m excited to dig more deeply into all of the announcements coming in over the next few days. What is already clear, however, is that Qualcomm, who have always been at the cutting edge of mobile technology, are still innovating at a rapid pace. That’s exciting news in its own right, and it bodes well for the devices we will be seeing in the next few years. You can watch the Snapdragon Tech Summit Day 1 keynote here. After the keynote addresses, we had a chance to watch a few demos. Bear in mind that all of the 5G devices we’ve seen so far have been turned off or weren’t working models. Moto did have a Verizon 5G demonstration which was the closest we got to a speed test; the representative made a point to say that in a real-world scenario, we’d be seeing 10x the speed of LTE, which sounds amazing. The demo included a 50MB file download in 4 seconds and a 1GB file download in 17 seconds.